Fire is truly one of the most powerful forces on Earth. When controlled, fire can provide heat, light the darkness, and cook our food. When out of control, fire can do extensive damage to property, cause life-altering injuries, and claim lives in a matter of moments. As a Sonoma fire injury law firm, we believe in helping fire victims and also in providing information that can help prevent fires in the first place. Today, we look at the danger of propane fires and propane fire injuries as investigators consider whether propane caused a Petaluma trailer fire that caused both minor injuries and substantial financial loss. According to The Press Democrat, fire struck a travel trailer on Skillman Lane in Petaluma, just west of Petaluma Boulevard North, on Monday night. Officials from the Rancho Adobe Fire Department told reporters that a man was watching television inside the trailer when he realized the structure was on fire. He attempted to extinguish the fire himself and suffered minor facial burns. The blaze caused approximately $8,000 in property damage. At the time of this writing, The Press Democrat reports that officials know the fire started outside the trailer. Investigators cannot make a conclusive determination of cause, but they suspect it may have been a propane issue. If the Petaluma fire was indeed propane-related, it would be one of many propane fires that strike the U.S. each year. According to the National Fire Prevention Association (“NFPA”), between 2003 and 2007, fire departments responded to an average of 1,170 home structure fires each year that involved liquid propane gas. These fires led to the deaths of 34 civilians, injuries to 135 civilians, and property damages totaling $48 million. The NFPA identified grills, hibachis, and barbeques as the types of equipment most-often involved in these liquid propane home fires and the leading heat sources were sparks, flames, and embers. If you smell gas, immediately evacuate the area and call the fire department from a safe location away from the home. In some cases, propane fires are the result of faulty equipment. In other cases, a poor repair job may be to blame. 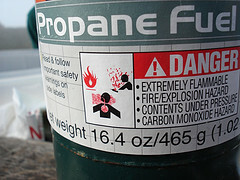 Simple negligence can also cause propane fires and may endanger more than the negligent individual himself. For example, a fire caused by the inappropriate use of a propane grill on an apartment terrace endangers residents in every other unit in the building and possibly even in neighboring structures. If you were injured in a propane fire in Northern California and believe someone else was to blame, contact our team at (800) 427-7020. Attorney Brod serves as a fire injury lawyer in Santa Rosa, Oakland, San Francisco, and throughout the surrounding regions. You may be entitled to compensation for your injuries and a consultation is always free of charge. Most injury cases are handled on a contingency basis meaning we only get paid if you get compensation. Tagged: California propane gas fire, Northern California propane fire injury law firm, Oakland fire injury attorney, San Francisco fire injury lawyer, Santa Rosa propane fire injury lawyer and Sonoma fire injury law firm.